Hello, my name is Connie Baker. I completed 200 hours of Yoga Teacher Training. In addition, I have learned paddle boarding skills and paddling techniques. I have decided to put together these two skills and teach Stand Up Paddle Board Paddle commonly referred to as SUP. My classes are structured for any age, any body type, any level of fitness, they are so SUPer fun!! It is exciting to learn these basic skills so when you go on vacation and you see SUP offered, you will know exactly what to do and more importantly you will be SAFE! My boards are Mistral Fit Kailua. They are easily inflatable to 11.5 feet long and 32 inches wide, they are very stable on the water. SUPer EASY First timers Beginners Class. $25 per hour per person. First and foremost we will cover safety! We then practice comfortably getting on and off the boards~ in shallow water and deeper water. We then practice just standing. The boards are weighted with 5 lb weights for minimal drift. Once you are comfortable standing, we removed the weight and you can practice your paddle skills. The final part of the class is yours to ~ move into more challenging skills, or practice what you have learned. I provide all the equipment and accessories necessary, everything will be ready when you arrive. I will be at Greenlick in the evenings for SupSunset starting at 6:15 till sunset. For those of you that want to practice your previously learned paddle skills. I will help you review safety and paddle skills on land. Once you feel comfortable, we will launch on the water to practice and perfect your skills. I will have the board, paddle, leash, life jacket and launch permit ready on your arrival. All you have to do is have SUP fun! Standup Paddleboard Yoga is a variation of Stand Up Paddleboarding combined with yoga commonly referred to as SUP Yoga. This one hour class consists of a brief safety lesson and an overview of SUP. The all levels yoga portion of class will be spent slowly moving through a modified, paddleboard friendly, Vinyasa Flow a sequence of asanas that will work the core muscles and challenge balance. The class ends with you experiencing a peaceful Floating Savasana. 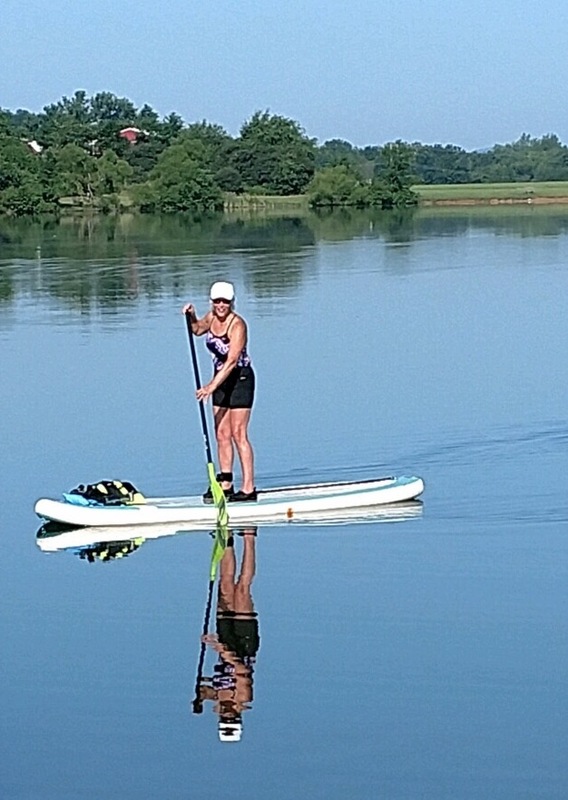 This practice on the water great way to supplement your current yoga practice. Be able to swim – Sign a waiver – Wear comfortable clothes that you don’t mind getting wet. Bring a CAN DO Attitude, a smile, a towel, bottled water, sunscreen and extra clothes. If you would like to set your pool up with Peace, Love and SUP or schedule a group class, please contact me at willowhouse@wpa.net. My goal for the pool partner would be to increase income, have loads of fun, and create a positive, confidence building experience for all students. 20 % of the class gross revenue will be paid monthy to the pool partner. It would be ideal to have a lifeguard on duty supervising all classes. The class should be held in a minimum of five feet of water. I request the class area to be roped off from other activities in the pool. The rope can be used to anchor the boards for minimal drifting. If there is no rope available I provide pool safe weights, and shielded cables for this purpose. I am insured through Next Insurance, Inc.